The lovely people running the Rosehill campaign in Ipswich have released full details of the march planned for Saturday 2nd April starting at Endeavour House at 11am. 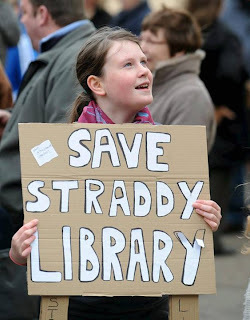 Join us on our family friendly march in protest against the proposed library divestment, and to show our support for the Suffolk Library service. If you can’t manage the whole march, join us outside the library on Northgate Street from 11.30am for a ‘read-in’. We’ll finish the march with speakers sharing excerpts from their favourite books. ♥ Bring your favourite book to share with others! ♥ Dress up as your favourite character!